Do you ever have a day where you feel like you've got lead in your feet? I think I've sewed so much over the past few days that I'm a bit dingy. My family would probably tell you I'm a bit dingy anyway. 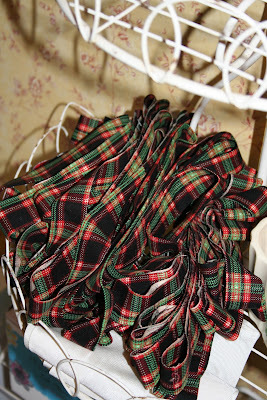 I feel like I sewed a mile of binding strips yesterday. 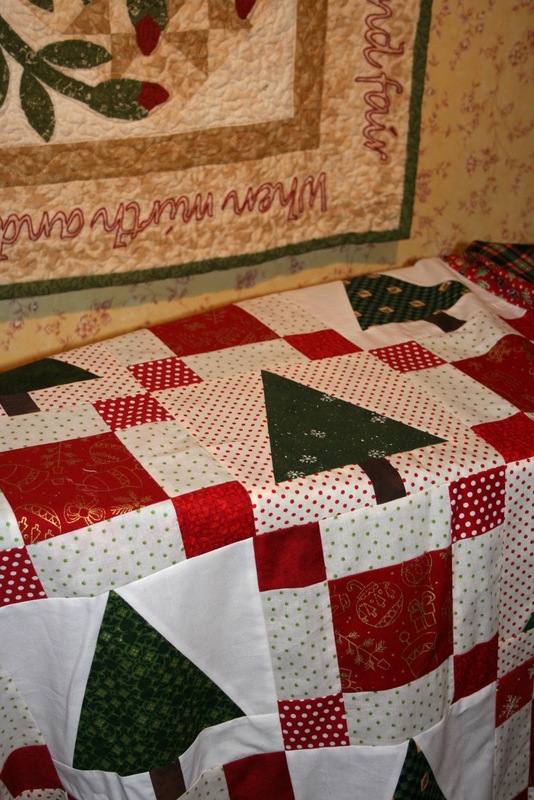 Inching closer to completion of two Christmas quilts for my adorable nephews. I'm right on track for Christmas this year which is not usually the case. I can credit it to my "Sewing Christmas" project. Now if I could get the rest of my life organized, I'd be pleased! Oh Renee, now I feel a little guilty for not having already started Christmas sewing. You did a wonderful job on that quilt by the way! I have recently purchased Christmas fabric, and even kind of envisioned my projects and who the recipients will be, but you are WAY ahead of me. I am happy for you though, it is a good feeling to be on track for things. I'll try to let my guilt motivate me . . . I'll let you know if it worked! After seeing your Christmas project I'm feeling guilty for not starting yet. I know it's coming fast. I look forward to seeing more of your sewing. 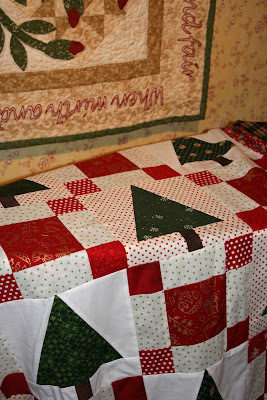 Hi there, I love the Christmas tree quilt-is it a specific pattern you used or did you just wing it? It looks pretty straight forward and I'd love to try it. I just started another autumn quilt-I know it is almost over, but hopefully it will come together quickly and easily. We have snow today so I'm planning on stitching most of the afternoon. Isn't it a wonderful feeling to be so far ahead? God bless....and your Christmas Tree post made me smile! Dingy! That's the word that sums up how I'm feeling today. Only I've been hammering nails instead of sewing. Must. Take. A. Break. Anyway, thanks for sharing your thoughts on blogging over at my little blog. I love reading what everyone has to share!